St John XXIII & St John Paul II. 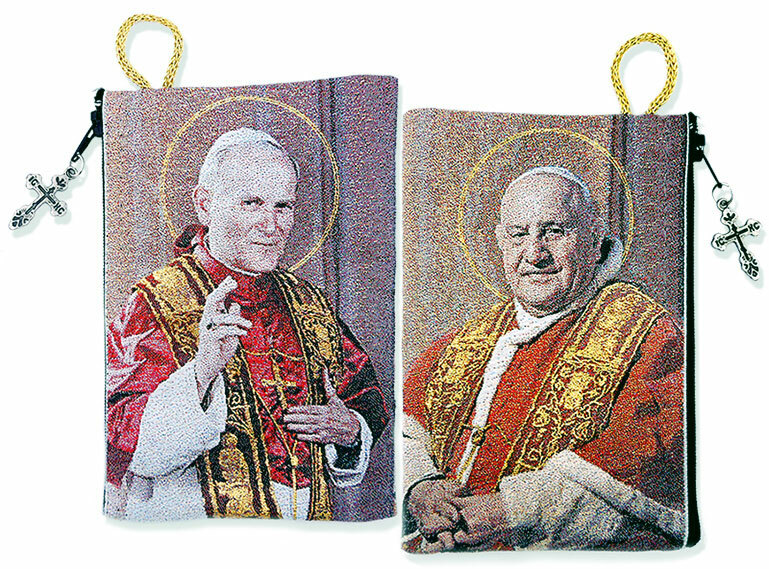 A new Tapestry Pouch Commemorating the Canonizations of the New Holy Father Popes. THIS BEAUTIFUL TAPESTRY POUCH OF THE OF THE POPE PAUL AND DEVINE MERCY IS PICTURED ON BOTH SIDES. This pouch, lined with a zipper for closing, is perfect as a Rosary or Prayer Rope case.